While I understand the point of this fitspo…To inspire you to believe that you do actually have the TIME…It bothers me because becoming healthier, fitter, happier takes more than one hour a day a few times a week. Being healthy and feeling good is a lifestyle…AKA it is a 24/7 deal. It does take lots of time to be healthy. It ISN’T easy to fit in working out and cooking and being active with a busy schedule especially if you are stressed. It also isn’t easy to stay dedicated day in and day out when results are slow to build. We all want to see instant progress, which is why the first question many people ask me when they are considering joining is…. Their minds always first go to how many times a week they can come in to train. And I would love to tell them that their few training sessions with me each week are enough. If you want results from all of the hard work you put in at the gym, you need to make smart, healthy choices the other 23 hours of the day. Especially if you want those results quickly. Quick results mean lots of time and energy spent CONSISTENTLY day in and day out to reach your goal. Most people know this. Most people know that they can’t out exercise a bad diet. Yet all too many people try to. And then they still expect to lose weight/get stronger/feel better/be healthier after really only committing to their goals the three hours a week they come to the gym! So all I’m saying is, if you want results, you have to commit to your goals all day, every day. That doesn’t mean a little slip up or a cheat day is going to make you fail. It just means that reaching your goals is a lot of hard work…AND VERY TIME CONSUMING. Don’t delude yourself. It is. But if you truly want something, isn’t it worth dedicating the time to get it? 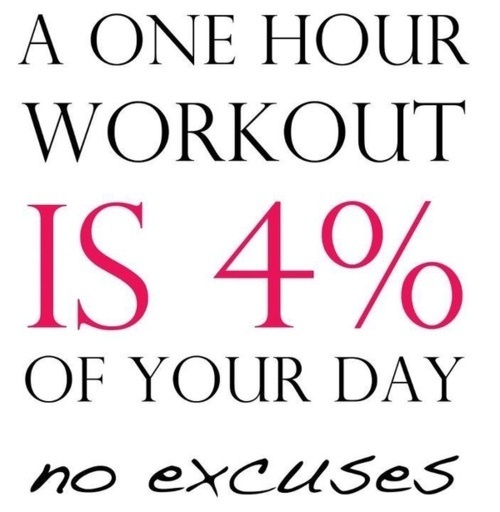 Remember a workout may be 4% of your day, but your dreams, your goals, deserve your attention 24/7! 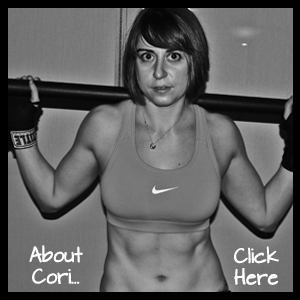 Posted on November 16, 2013, in Mindset and tagged healthy lifestyle, positive mindset, tips to lead a healthy lifestyle, weekend motivation, workout fitspo. Bookmark the permalink. 2 Comments. Huge point here! Patience and consistency are the key to success and sustainability. It really is a lifestyle.